Home » Chicago “Bet the Company” MDL Seminar + What’s So Special About Smith & Nephew Metal Hip Implant Cases? There is a new type of metal on metal hip implant case recently sent to the Smith & Nephew MDL that is among the strongest products liability cases being litigated today. It is a metal on metal hip implant construct involving Smith & Nephew metal parts that were never approved for use together. A similar Smith & Nephew part is likely to be included in this MDL any minute now, thereby making the Smith & Nephew MDL a relatively new MDL as hip implant MDLs go. These new cases highlight some of the factors that can make or break any products liability personal injury case. It is useful to consider this information even if you are not currently defending or prosecuting any Smith & Nephew hip implant cases. The Smith & Nephew cases described here involve products that couldn’t gain FDA marketing clearance despite multiple attempts and submissions to the FDA over a four-year period. A meeting was held with FDA officials and the company hired outside experts on FDA matters, but the company still failed to convince the FDA. The company sold the devices anyway. To view this article in PDF format and to view all attachments, please view the PDF version here. HOW TO SPOT A GOOD PRODUCTS LIABILITY CASE. What did the company know? Seems like every discussion about products liability cases eventually turns to these three questions. I have used this exact trilogy of questions when it helps me at trial, and Zimmer, Inc. used it successfully against me in a hip implant trial last year. Whether you represent Plaintiffs or Defendants, the answers provide a good, common sense framework for assessing the facts and your likely success with any particular products liability case. The Judge, jury, and your opponent have likely already begun framing their own conclusions. With the above three questions in mind, consider what Smith & Nephew executives at the highest levels of the company knew about their metal on metal hip implants and what they did about it when they learned it. BACKGROUND OF SMITH & NEPHEW HIP IMPLANTS. In the past several years, there have been many thousands of product liability lawsuits filed in U.S. courts claiming medical problems from allegedly defective metal on metal hip implants. The following brief history will demonstrate what most of us already know – metal on metal hip implant cases can make for a good trial story. Several MDLs have been established for metal on metal hip implant cases against Zimmer, DePuy, Stryker, Wright Medical, and Biomet. The organization of these MDLs occurred while the FDA was acquiring knowledge and voicing increased concern about the emerging medical problems associated with this class of implantable metal medical device. The FDA began a process in 2011 that resulted in a Final Order on February 18, 2016 that essentially banned metal on metal hip implants from the total hip replacement market in this country. Thousands of cases have settled as part of the MDL process and some have been resolved in other ways, but more than ten thousand metal on metal hip implant cases are still on file in Federal and state courts today. Many thousands of people have suffered significant injuries because of metallosis and other serious health problems directly linked to this dubious class of metal medical device. Revision surgeries involving metal on metal hip implants continue to occur at an alarming rate. A newcomer to the hip implant MDLs is Smith & Nephew, Inc. The Smith & Nephew MDL wasn’t even created until March of last year, and the cases discussed below were only added to MDL 2775 beginning in January of this year. Lawyers with experience in the other hip implant MDLs may find the significant differences between their cases and the Smith & Nephew cases intriguing. A quick review of the products involved in MDL 2775 will make it easier to recognize what makes the Smith & Nephew total hip arthroplasty cases different from the others. MDL No. 2775 is formally known as the “Smith & Nephew Birmingham Hip Resurfacing (BHR) Hip Implant Products Liability Litigation, MDL 17-MD-2775.” It is pending in front of Senior Judge Catherine C. Blake in the U.S. District Court in Baltimore, Maryland. A detailed discussion of the background of the Smith & Nephew MDL can be found in Judge Blake’s March 26, 2018 written opinion concerning Smith & Nephew’s Motion to Dismiss. See Memorandum, In re: Smith & Nephew Birmingham Hip Resurfacing (BHR) Hip Implant Products Liability Litigation, CCB-17-2775, Document 608 (D. Md. Mar. 26, 2018). This MDL Memorandum Order is recommended reading for anyone with Smith & Nephew metal hip cases in the MDL or in state court. 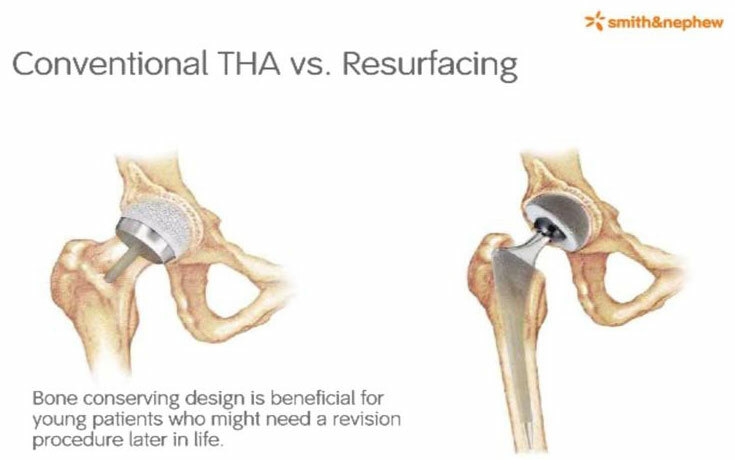 Birmingham Hip Resurfacing Device: Commonly referred to by its abbreviation “BHR,” this device is what is shown in the left hip in the illustration below. It is not considered a “traditional” total hip arthroplasty because it only resurfaces, or shaves down, the femoral head instead of replacing the entire femoral head and neck. It was FDA-approved under PMA number P040033 on May 9, 2006. Modular Femoral (Hemi) Head and Modular Sleeve: These two metal parts mated together and were sold and marketed in Europe and Australia as the main components of the Birmingham Hip Modular Head System. The head and sleeve were never cleared or approved for total hip arthroplasties, but this device was used almost exclusively in the U.S. off-label for that surgery. A third product, the Smith & Nephew R3 Acetabular System metal liner, is likely to be included in the MDL soon. The metal liner was approved on November 13, 2008 as PMA supplement S006 to the BHR. The metal liner was never approved in the U.S. for use in traditional total hip arthroplasties, but the vast majority of them were used for that surgery. The analysis below does not change whether the liner is or is not included in the MDL, because the “modular femoral (hemi) head” is the same with or without the liner. The illustration below from a Smith & Nephew Power Point depicts the difference between the two surgeries. The one on the left is the BHR and the one on the right is the THA. The most notable difference is the large spike-like stem in the THA on the right. For the first year of its existence, MDL 2775 was a single product affair, involving only the BHR hip resurfacing cases. The MDL Panel not only consolidated all the Birmingham Hip Resurfacing (BHR) cases into one MDL in early 2017, but the Panel also expressly declined to include S&N’s Total Hip Arthroplasty (“THA”) cases. This MDL remained a single product case until January 2018 when the MDL Panel began sending THA cases to Baltimore. It now involves the resurfacing and THA cases involving the BHR cup, and it will probably include the R3 Metal Liner cases before long. There are 318 cases currently in this MDL, according to the “Notice of Filing Updated Listings of Pending BHR Track and THA Track Cases” filed on May 21, 2018, with 264 described as “BHR” cases and 54 listed as “THA” cases. New cases are currently being filed in or transferred to this MDL almost every day. The regulatory history of the Smith & Nephew metal hip devices is unique in metal-onmetal hip litigation for at least two reasons. Unlike other hip implant MDLs, there is no FDA cleared total hip replacement or resurfacing system involved. There is no name for the configuration of THA implants involved in this MDL because the company was unable to obtain clearance for a metal on metal total hip implant system. The parties and the MDL Court just call them “THA cases”, referring to the generic name for the surgery as opposed to an actual legally marketed product. The case is also unusual because the FDA expressly rejected the femoral part of the THA metal parts involved in this MDL. The company obviously knew this when it happened, but what they did about it is probably what got them into MDL 2775. 1. Numerous FDA “No Sell” Letters. It goes without saying that you cannot properly analyze a products liability case without first determining how the offending product got on the road, in the air, in your home, or on hospital shelves. This is usually easy to determine, especially if the product was expressly approved by the governing body. Of course, in a regulated society the product is usually on the market legally. In my experience, it is very rare to find a products liability case where the product itself was not even allowed on the market. But that’s what we seem to have in the Smith & Nephew THA cases. Two months later, the FDA concluded that it was unable to determine that the Birmingham Hip Modular Head System was substantially equivalent to the predicate devices in the 510(k) application. The FDA explained that there was a lack of clinical data supporting the device, noting that it disagreed with Smith & Nephew’s attempt to rely on BHR clinical data for its THA submission. The FDA further explained that “the clinical data for a resurfacing hip prosthesis can not be used to predict the safety and effectiveness of a total hip prosthesis.” K052808. Letter from FDA to Smith & Nephew, at 1 (Dec. 12, 2005). The FDA basically rejected all the clinical data the company offered. The FDA even suggested that the application might be better suited as a supplement to the BHR. The FDA issued another No Sell letter. Smith & Nephew withdrew K052808 on March 1, 2006, and the FDA issued yet another No Sell letter. Smith & Nephew had hit a THA dead-end with the FDA after failing to gain FDA clearance for the Birmingham Hip Modular Head System. It decided to approach the problem one component part at a time. On May 1, 2006, Smith & Nephew filed a 510(k) application for a “monoblock” femoral head. It was assigned 510(k) number K061243, and the FDA cleared the device on July 17, 2006, but only for use in hemi-arthroplasties. An application for the “Modular Femoral (Hemi) Head” was filed a month later, on August 17, 2006. (K062408) The FDA granted that application on September 12, 2006. These two applications for 510(k) premarket clearances were granted only for “hemiarthroplasty” procedures, where the metal femoral head articulates only against natural bone. Again, the metal femoral head used in the Smith & Nephew THA cases in MDL 2775 was never approved or cleared for THA procedures. A hemiarthroplasty can never be a metal on metal hip device, and none of the cases in the MDL should ever involve this procedure. This is important because every Smith & Nephew metal on metal THA case involves a femoral component that was only cleared for a hemiarthroplasty. 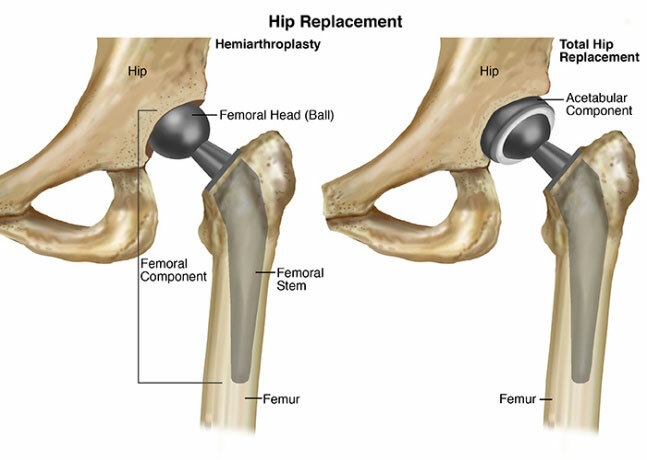 The illustration below 3 depicts the difference between a hemiarthroplasty and a total hip arthroplasty. Source: India Health Help, http://Russian.indiahealthhelp.com/procedure/hip-arthroplasty/ (last visited May 22, 2018). The most notable difference in the above illustrations is that the hemiarthroplasty does not have any artificial acetabular component. Around this same time, on July 28, 2006, Smith & Nephew filed a second 510(k) application for the Birmingham Hip Modular Head System (K062189). Soon thereafter, the FDA issued a ten page No Sell letter and advised Smith & Nephew that it still couldn’t determine whether the device was substantially equivalent to the predicate devices. The FDA’s concerns with the clinical data for this application were similar to its concerns with the first application; the long list of deficiencies included criticisms about the investigative site’s location and investigator, and noted that the study had no “clear patient inclusion/exclusion criteria.” Letter from FDA to Smith & Nephew re: FDA’s K062189, at 1 (Oct. 25, 2006). The FDA also found that there was a significant amount of missing data, id. at 2, and the FDA recommended that an application for this device for a THA should “be submitted as a PMA supplement” to the BHR. Id. at 9. Rather than curing the deficiencies in the No Sell letter, Smith & Nephew withdrew its 510(k) application on March 21, 2007, and the FDA issued yet another No Sell letter. Smith & Nephew was not so quick to file its third 510(k) application for a THA system, waiting until after it launched its R3 Acetabular System and secured PMA approval for the R3 Metal Liner for use as part of the BHR. However, Smith & Nephew filed another 510(k) application for the Birmingham Hip Modular Head System on October 1, 2009 (K093095). Unsurprisingly, the FDA issued another lengthy No Sell letter and again told Smith & Nephew that it was unable to determine substantial equivalence. Like clockwork, Smith & Nephew withdrew its 510(k) application a few months later, on February 24, 2010. The FDA issued yet another No Sell letter. There were about a dozen No Sell letters issued for Smith & Nephew’s THA metal on metal hip products eventually. Smith & Nephew stopped trying to obtain clearance for these components for use in total hip arthroplasties after their third failure. All of the No Sell letters involve the same femoral head that is in all the Smith & Nephew metal on metal THA cases. After years of trying and after collecting a dozen or so No Sell letters, Smith & Nephew abandoned its efforts to obtain FDA clearance or approval to sell the combination of metal parts used in its THA cases. 2. Sell Despite No Sell Letters. It is important to emphasize that use of these devices for unapproved THA surgeries was not rare or isolated. The most frequent use for the modular femoral head was off-label as part of metal-on-metal total hip arthroplasties, usually articulating against either the R3 Metal Liner or an unlined BHR acetabular cup. That is how they are almost always used if they are used in a metal-on-metal THA. The company knew their THA product was not approved and had been expressly rejected three times by early 2010, but the company still distributed the parts for these uses. Unable to lawfully promote the parts for THA surgeries, they employed a business model similar to a politician engaging strictly in negative politics. Among other tactics, they employed a sales campaign known as “Take the Gloves Off,” which allowed the sales reps to vigorously criticize the competition, but strictly prohibited them from saying anything positive about their own products. It should not be surprising that Smith & Nephew’s commission-based sales reps complained when they had to meet quotas but didn’t have a full line of products they could sell their customers. Internal company documents show sales reps nationwide complaining and asking when they would finally be allowed to sell a metal-on-metal THA product. Some hospitals wouldn’t even discuss THA implants with the Smith & Nephew sales reps due to lack of FDA cleared hip devices. The pressure on sales reps to quietly promote the hemiarthroplasty head for unapproved THA surgeries was enormous. I know of at least two surgeons who have testified that the Smith & Nephew sales reps did exactly that. An integral part of Smith & Nephew’s sales campaign also involved keeping the foregoing regulatory history from the doctors and sales reps. Smith & Nephew usually did not inform surgeons and sales reps of this dubious regulatory history. You will probably never meet a surgeon or sales rep who admits they knew these regulatory facts at the time a Smith & Nephew THA surgery occurred. Smith & Nephew, Inc. executives in Memphis, Tennessee and at the home office in the United Kingdom knew these facts. The doctors and sales reps did not know them. Of course, the patients did not know either. 3. FDA Reclassification of Metal Hip Implants. An implanting surgeon in one of my Smith & Nephew cases testified that the metal on metal hip situation in America was a “human experiment.” It was a failed experiment by all accounts, but Smith & Nephew wasn’t even allowed to participate in this failed “experiment.” According to the FDA’s website [U.S. Food & Drug Administration, Metal-on-Metal Hip Implant Systems, (Dec. 28, 2017). ], “as of Nov. 30, 2012, the FDA had cleared 190 submissions for metal-on-metal hip replacement systems.” The FDA could probably be criticized for allowing so many metal on metal hip systems to easily slip through its regulatory system, but no one can say they let Smith & Nephew slip by. The FDA did what they could to stop Smith & Nephew, but it wasn’t enough, and that’s why there’s a new “THA Track” for the Smith & Nephew MDL. The metal liner that will probably soon be involved in the Smith & Nephew MDL was recalled from the U.S. market for safety reasons in 2012 and the modular femoral head already in the MDL was withdrawn for safety reasons in 2015. The FDA issued more than a dozen No Sell letters in response to Smith & Nephew’s repeated efforts over four + years to secure clearance to market a metal-on-metal THA hip product in this country. They probably thought they had stopped Smith & Nephew with all their No Sell letters over the years, but the existence of 50 + THA cases already on file in MDL 2775 suggests otherwise. All of the documents referenced in this paper are available on this website at https://www.kippetroff.com/smith-and-nephew-hip-implant-legal-information/. 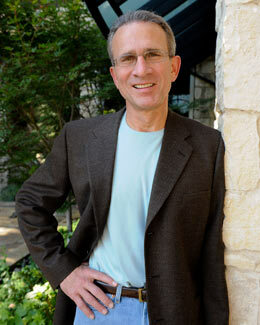 You can also email me using the convenient online contact form here, or call me at (972) 294-7530 with any questions.